My little girl is in Kindergarten and I’m amazed at how much she’s matured in such a short time. So often I’m reminded how quickly our babies grow up and, each morning, I do my best to cherish the simple moments of motherhood that bring me joy. I have to admit, many of those moments have to do with food! Serving my kids’ their breakfast is an opportunity to pour love into their growing bodies as they get ready for the school day. Not long ago, my daughter was learning to use her little fingers to get her favorite Cheerios into her toothless mouth. Now she’s in the kitchen alongside me, learning the importance of food and family, making her mami so very proud. 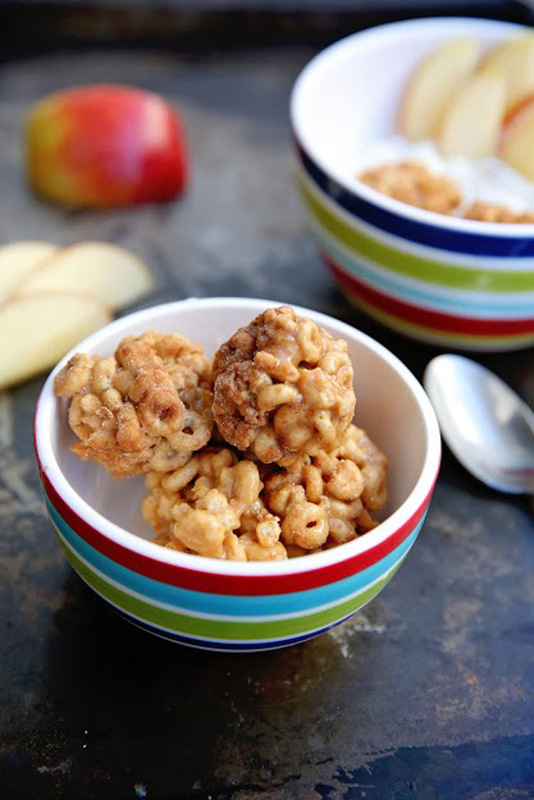 One of our favorite quick breakfast recipes is Cereal Bites. 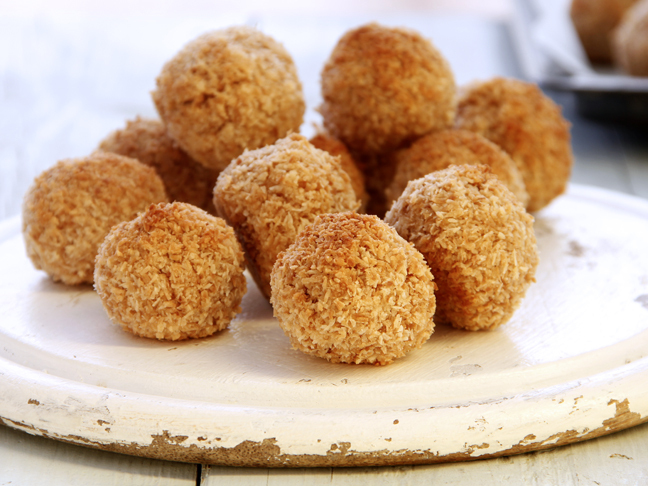 You can customize these little balls to any flavor you love most, adding nut butters, coconut or flax and chia seed. On this particular day, I wanted to spice up our breakfast routine with a nostalgic twist on the traditional flavors of one of our family’s favorite sweet treat: churros! What’s not to love about these simple and quick Churro bites? With just a few ingredients that I always have on hand, I’m able to spice up our normal breakfast into a festive morning memory. 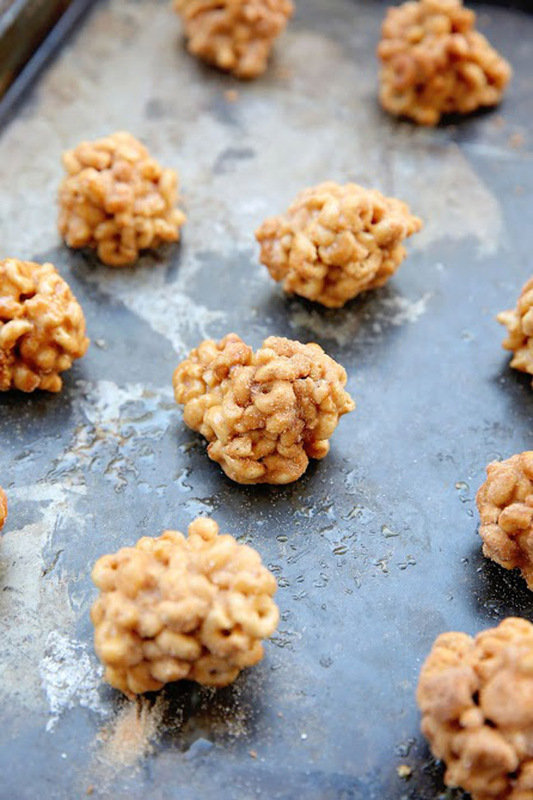 They’re simple to make and are a great addition to yogurt or fresh fruit. Here’s how to make them. Step 1: In a saucepan on medium low heat, cook caramel bits and condensed milk, stirring occasionally. Don’t rush so not to burn the sugars! 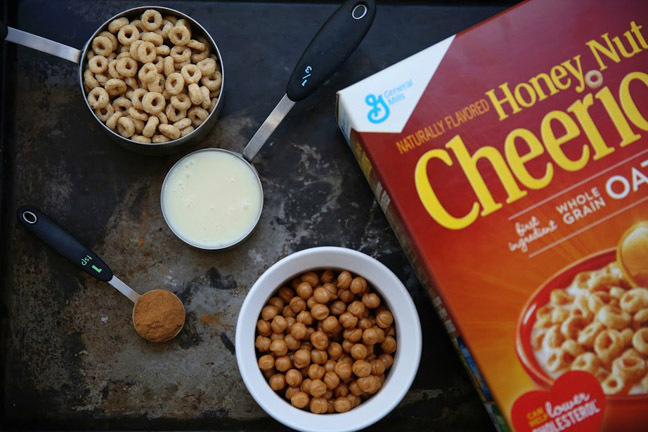 Once the binding ingredients are well combined, it’s time to add the mixture to the coarsely chopped cereal. 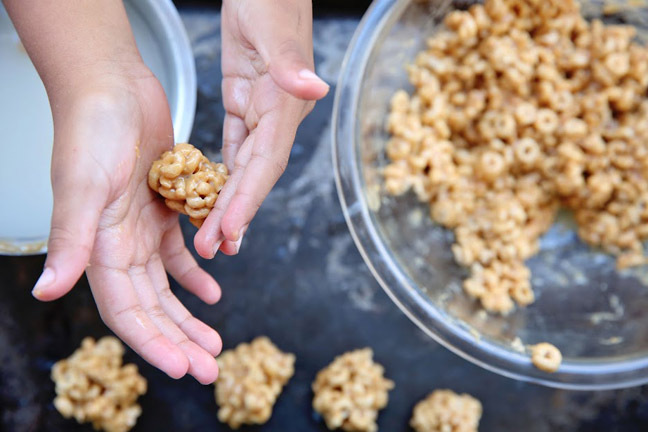 Step 2: Once the Cheerios have been coated in the sweet caramel mixture, set aside to cool while you mix the cinnamon and sugar for these Churro Cereal Bites. Step 3: Now it’s time to form the cereal bites! 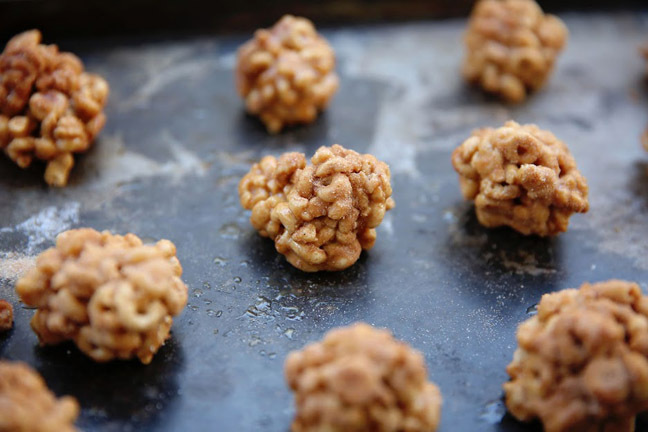 Here’s a quick tip to make this process so much easier: fill the saucepan used for the caramel mixture with water and use it to keep your hands moist while forming the balls. This will make it much less sticky while also giving you a head start on the dishes. Step 4: With the cereal bites now formed, it’s time to roll them in the cinnamon sugar mixture, giving them the quintessential Churro flavors. Try not to lick your fingers! 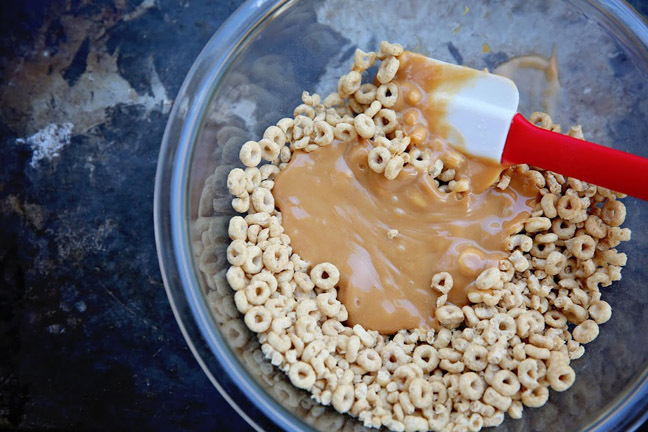 Step 5: This simple recipe doesn’t take a lot of time, but delivers a bit of sweet spice to your breakfast routine that your kids will love. 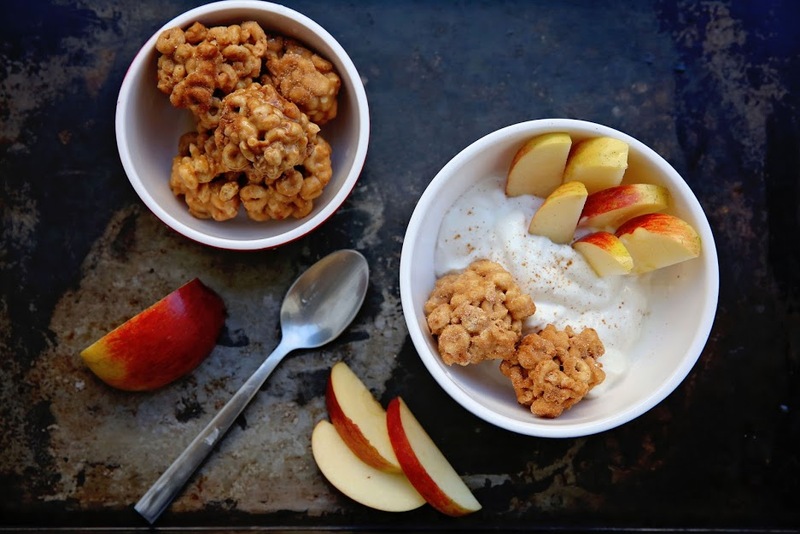 Keep these Churro Cereal Bites in an airtight container for up to 5 days for an on-the-go breakfast or to spice up greek yogurt with sliced apples. 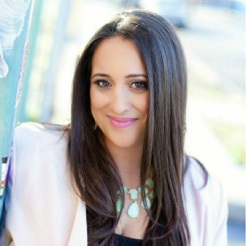 I'm Vanessa, writer and legacy builder at De Su Mama. From documenting food traditions and recipes to raising bilingual kids; from mixed curly hair care to defining a brand new family legacy of traditions, crafts and travel, my mission is to support multiracial mothers in raising great kids.